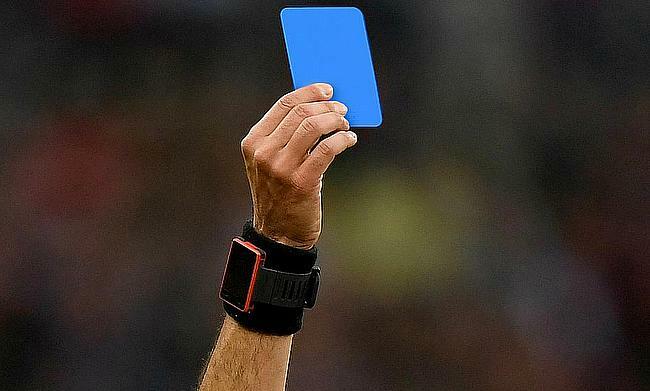 South Africa Rugby has announced that the 'Blue Card' system is set to be introduced at the domestic level in the coming weeks. The concept which was widely practiced in the New Zealand provincial tournaments and most recently in the Top 14 will give the power to the match referee to remove a player permanently from the game due to a concussion or suspected concussion. The card which was already trialled for two years in Youth Weeks will now extend to school and club levels including provincial tournaments and Currie Cup keeping in mind the welfare of the players and to bring a further curb on head related injuries. Barring the on-field decision, an online portal will also be developed where the concerned officials will have to log on the process for a player, who was blue-carded and will receive email advice on the process to follow. This will also allow the South African rugby to have an extensive database on concussions from the grass-roots to the professional level. “The players are the most important component of the game, and their health, welfare and longevity is our top priority. "Players at these levels often return home after sustaining a concussion or suspected concussion and the correct steps are not always followed by those closest to them to ensure that they return to play safely."